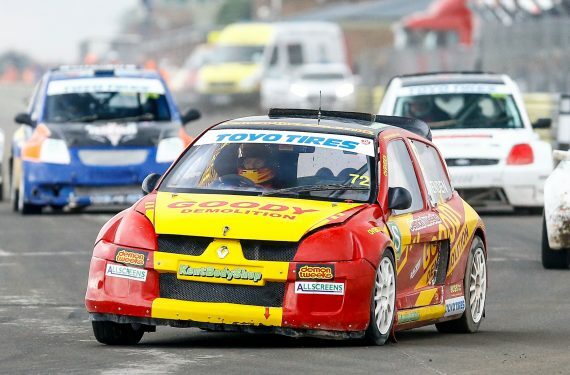 Canterbury based Rallycross driver Tristan Ovenden headed to his home circuit of Lydden Hill for Round 7 of the MSA Toyo Tires British Rallycross championship. Making its second visit of the year for the traditional August Bank Holiday meeting The Goody Demolition backed driver went into the bank holiday feature looking to extend his 22-point lead over his nearest rival. Ovenden set about the business in hand right from the first green light recording fastest times in all three qualifying sessions. His faultless day continued in the semi-final and ultimately the final in lights to flag wins from a comfortable pole position. This extends the strangle hold that Ovenden has over the championship. He is now 25 points clear at the top of the table with only two more rounds left. This entry was posted	on Wednesday, August 29th, 2018 at 1:42 pm	and is filed under Featured, Motor Racing. You can follow any responses to this entry through the RSS 2.0 feed. Both comments and pings are currently closed.